Introducing the Lmnh Kitchen | Look mum no hands! 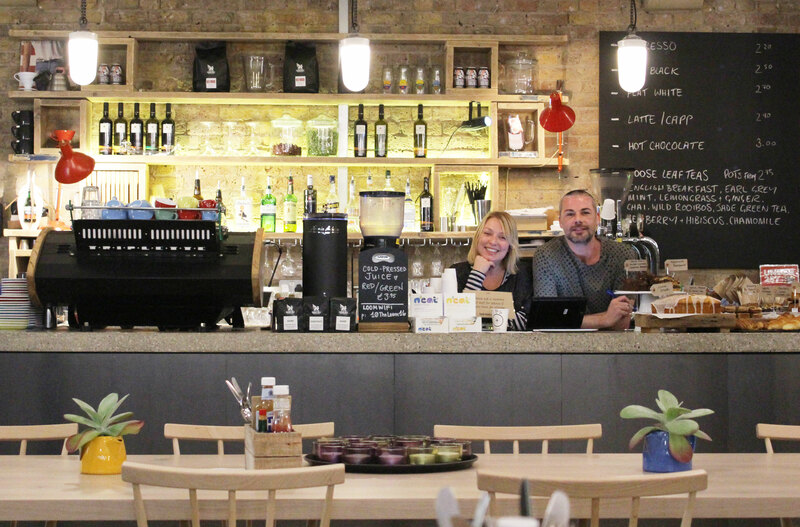 The new sister site in Whitechapel is our second chance at a decent cafe (after Mare Street closed ). 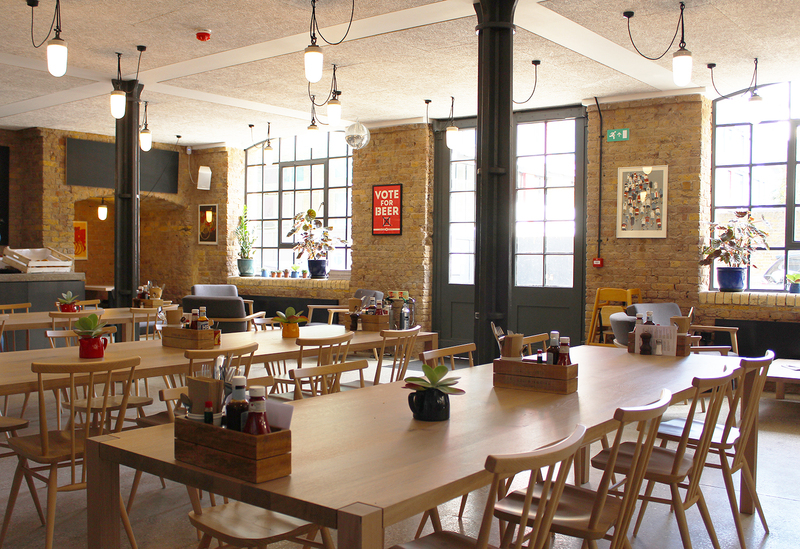 There's no workshop, but we're open every day to serve breakfast, lunch and dinner. Eat in or take away. We use Square Mile Coffee, cook all food on the premises, and serve London brewed beers by the likes of Kernel & Beavertown. For those who prefer spirits, for the first time (!) our drinks menu now includes Espresso Martinis, Margaritas and bespoke Bloody Marys. If you don't have time to hang out and relax in the cafe, from Monday to Friday we fill our fridge with homemade muesli pots, fresh sandwiches and salads for you to takeaway. 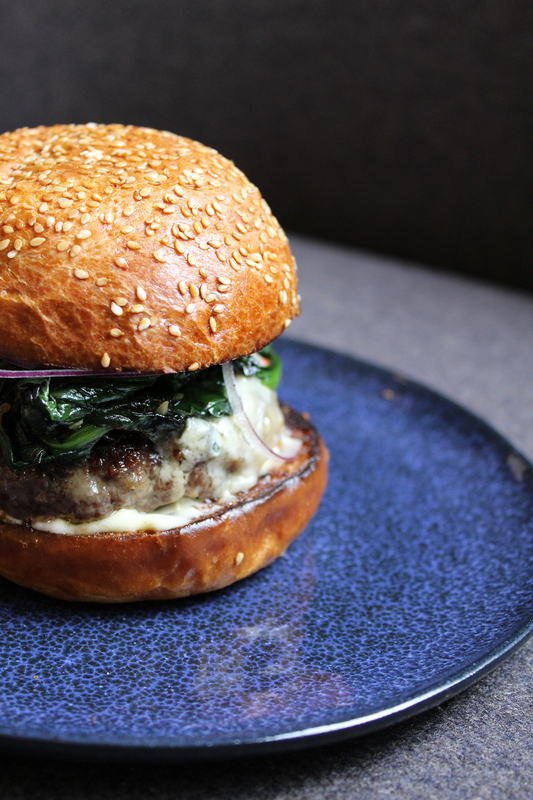 Chef Miko cooks a mean 42 aged beef burger (pictured), offers a different vegetarian soup daily, alongside a strong vegan offering. Take a look at the menu here. Breakfast in the week is available until 11am. It's all day Brunch Saturday and Sunday, snap up Lunch from 11:30am - 4:30pm on Monday - Wednesday and until 9pm Thursday and Friday. Our cakes are from Luminary Bakery, bread from Chris at the Bread Station. Roll down and say hello to Chef Miko, Billy and Sharon. They're looking forward to serving you.